Bad news for sports teams, movie studios and hotels hoping for a big injection of Chinese cash: Beijing is tightening the spigot. The government announced late Friday it's limiting overseas investments by Chinese companies in a range of sectors that have benefited from a spending spree in recent years. They include real estate, hotels, entertainment and sports clubs. The move expands a government crackdown on money moving out of China, and follows pressure on some of the country's biggest dealmakers. After a record year of overseas spending in 2016, Chinese investment in other countries plunged 46% in the first half of this year, according to the Chinese Commerce Ministry. The drop was even sharper -- more than 80% -- in the industries Beijing is now targeting. Several of China's most acquisitive companies, including Anbang Insurance Group and Dalian Wanda Group, have drawn particular attention from authorities, with regulators reportedly investigating some deals for breaching investment rules. The restrictions announced Friday could add to the headaches for those companies. 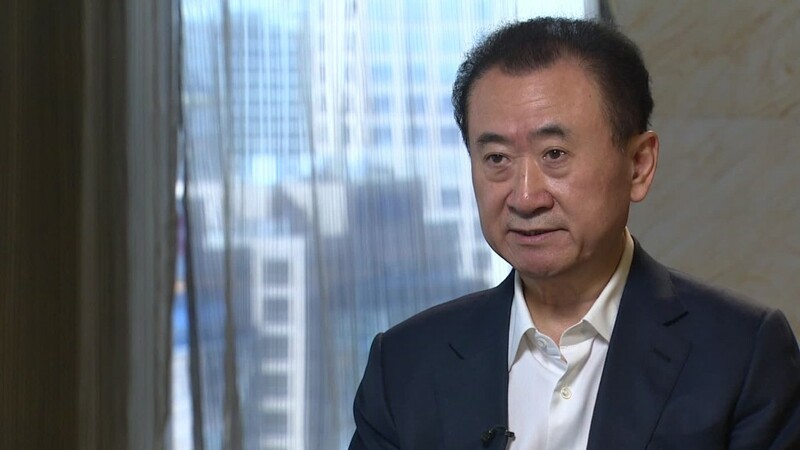 Wanda, owned by billionaire Wang Jianlin, has already had to scale back its ambitions to expand in the entertainment industry. After buying movie theater chain AMC (AMC), studio Legendary Entertainment and a stake in Spanish soccer club Atletico Madrid, Wang had regularly talked of his plans to do more major foreign deals. Anbang, which once held talks with the family company of Trump adviser Jared Kushner, has also been under scrutiny after its chairman was reportedly detained in June. It owns the Waldorf Astoria in New York and made headlines last year for its failed bid to buy Starwood Hotels.